Hair styling in a New York minute. 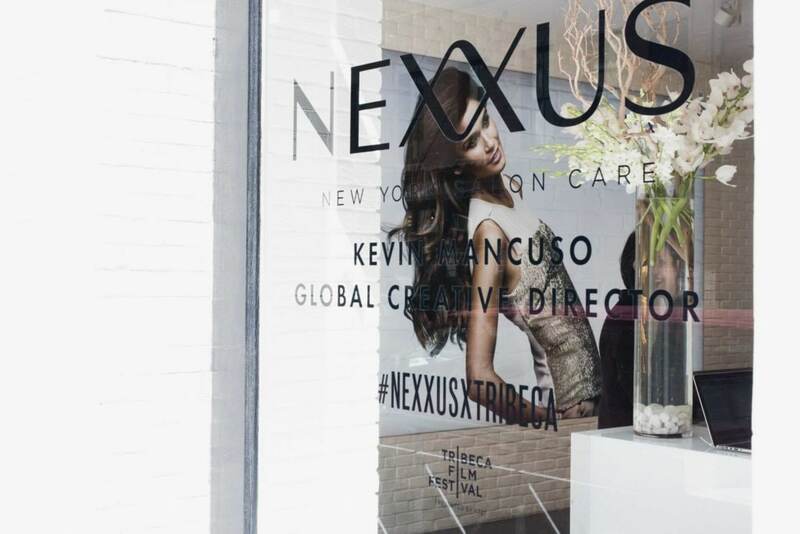 Chalk it up to another feather in its cap: In a pioneering move, Nexxus Salon signed up as the first-ever hair sponsor of the Tribeca Film Festival (TFF), an annual film festival held in New York City. Held every spring, the prestigious film screenings take place in select theaters in the Lower Manhattan neighborhood. 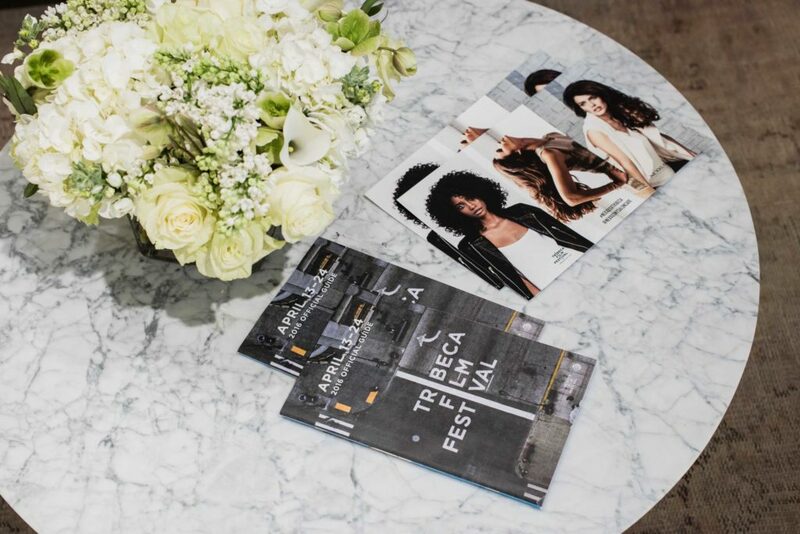 With this new Nexxus x Tribeca partnership, guests saw a shared vision of creativity and diversity, brought to the fore with Nexxus’ penchant for innovation and the celebration of the TFF’s female directors. 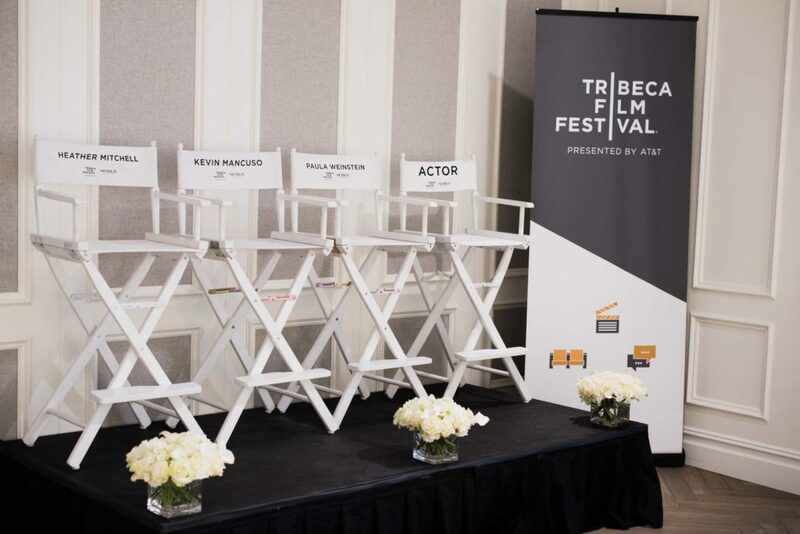 Nexxus partnership with Tribeca film festival. 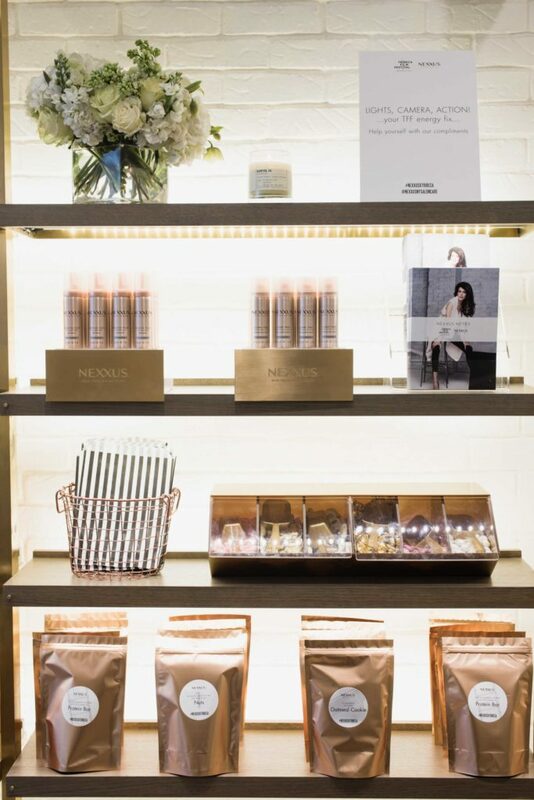 The Nexxus line out on display. 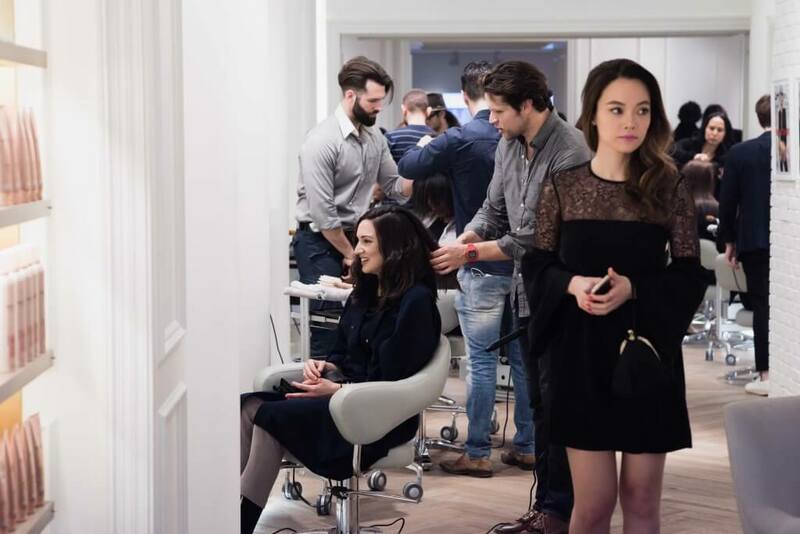 In addition to listening to a panel of innovators (in both film and hair), attendees had the opportunity to enjoy hair treatments at the Nexxus salon as well as have their hair styled. 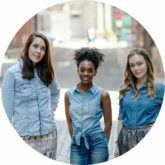 Our editorial team was thrilled to have this unique opportunity, and with three different hair types and textures, it proved to be a wonderful chance for us all to have our hair styled based on our personal preferences and needs of our respective hair textures. From straight to wavy to natural hair, read on to learn more about what styles we received and the products we had the opportunity to try out. 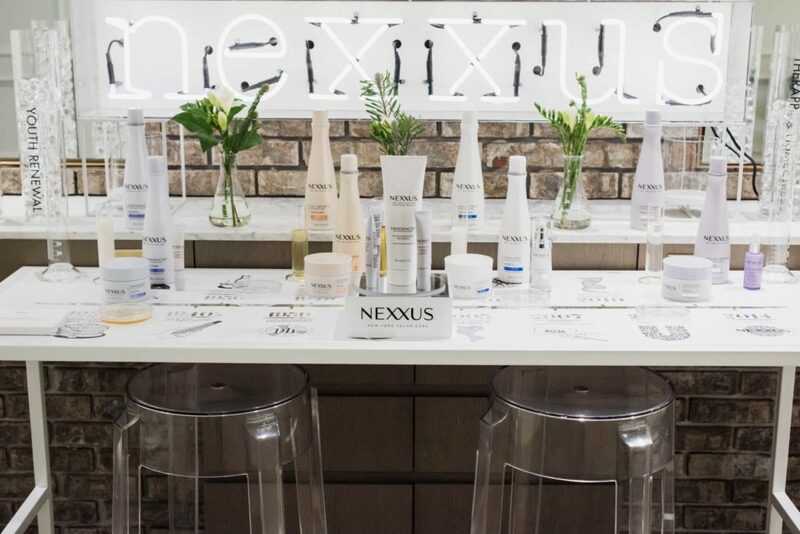 Product line at the Nexxus New York Salon. 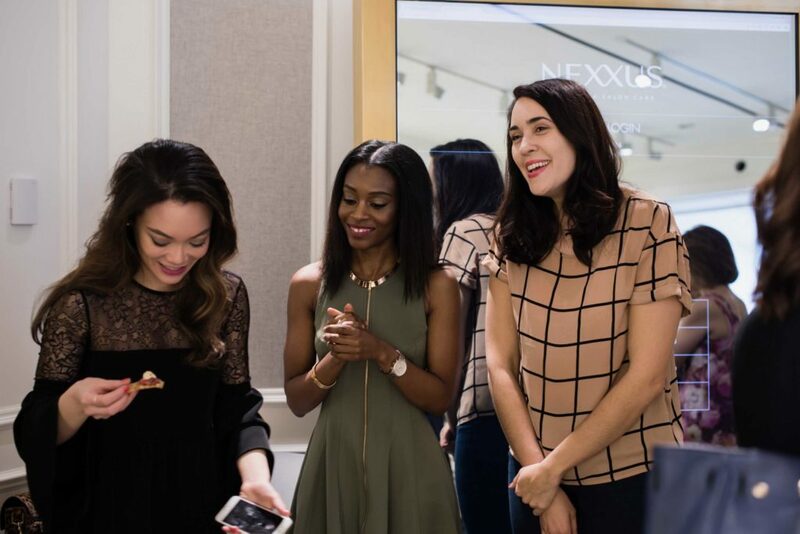 Incredible event in NYC at the Nexxus New York Salon. Associate Beauty Editor, Alyssa getting some incredible hairstyling. This is the first time I’ve received a flat iron session from a professional hairstylist on my natural hair (I’m a DIY kind of gal). I must admit, I was very nervous before getting my hair done, but that changed in an instant when I realized how careful, and proactive the stylists were with my hair. They detangled with ease and protected my strands with a heat protectant prior to applying any heat. After earning my seal of approval on handling my fragile curly hair, I requested to have my hair bone straight. 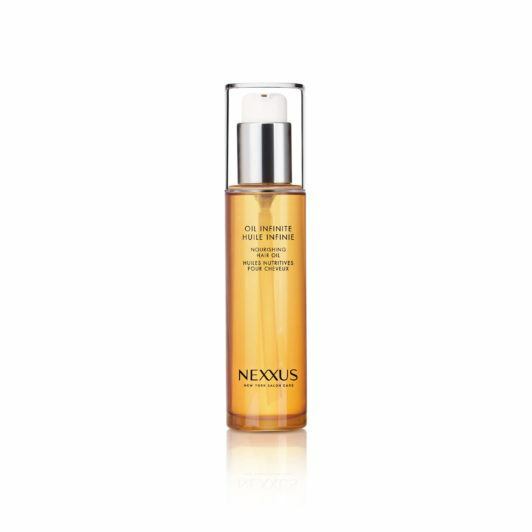 To finish off the style, Nexxus Oil Infinite Nourishing Hair Oil was applied to my strands to give it a smooth touch. My hair was left shiny and feeling soft as ever! I was able to keep my hairstyle for two whole weeks! That’s right, it lasted that long and not a hint of frizz. Most of all, my curls sprung back into action after my first hair washing post flat iron. Whew! Stunning new look from Eunice, Senior Beauty Editor. Not many salons can deal with my fine, processed hair, and I appreciate how the stylists at Nexxus respected my texture. Better yet, they gently suggested ways to upgrade my current style—which is long and straight—while still keeping things sophisticated and city-girl appropriate (no high-maintenance updos!). Robert, my hair guru for the day, suggested I go for French bombshell curls, and he also helped volumize my look with the Diametress line like the Nexxus Diametress Rebalancing Shampoo and the Nexxus Diametress Restoring Conditioner (super crucial for fine-haired gals like me). My regular, floppy bangs were also made into a side-swept pomp for the day. Big hair, always a good idea! 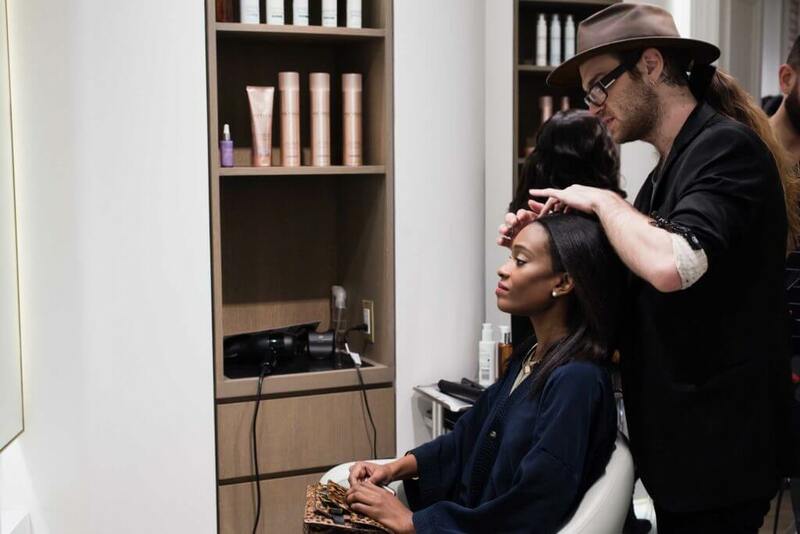 Styling at the Nexxus Salon in NYC. The All Things Hair crew post-style. I tend to wear my hair the same way everyday. As someone with a wavy texture, I can either blow-dry it straight or leave in natural. The natural part usually wins out where I opt for my signature ponytail or bun. Boring, I know. Since I am on a mini-quest to step outside of my comfort zone, I was thrilled when I had the opportunity when Lona Vigi, celebrity stylist and Nexxus brand ambassador, did my hair. 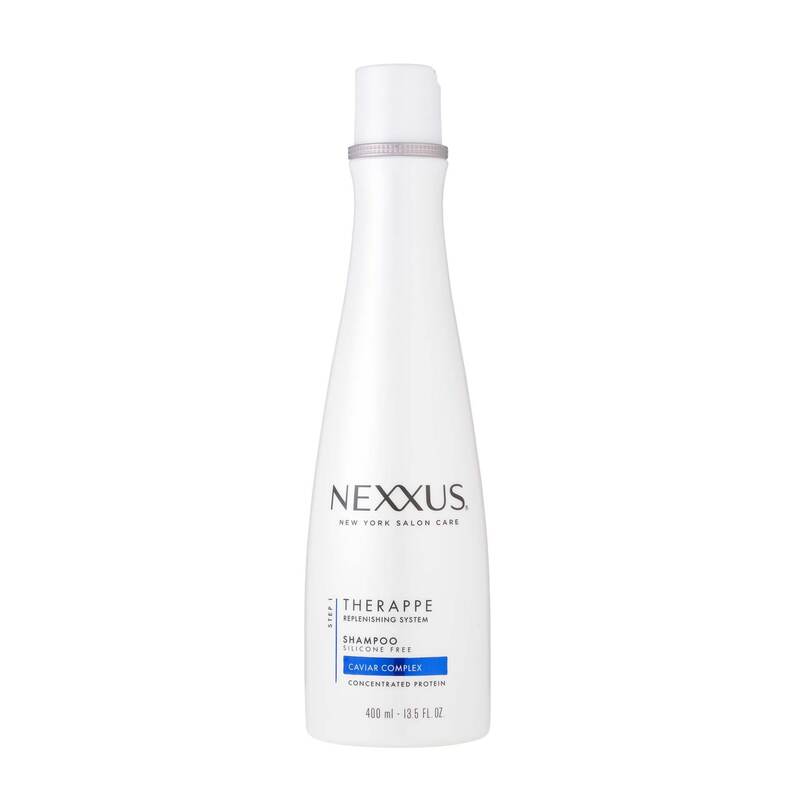 I started with having my hair washed and conditioned using the Nexxus Humectress Rebalancing Shampoo and the Nexxus Humectress Conditioner. 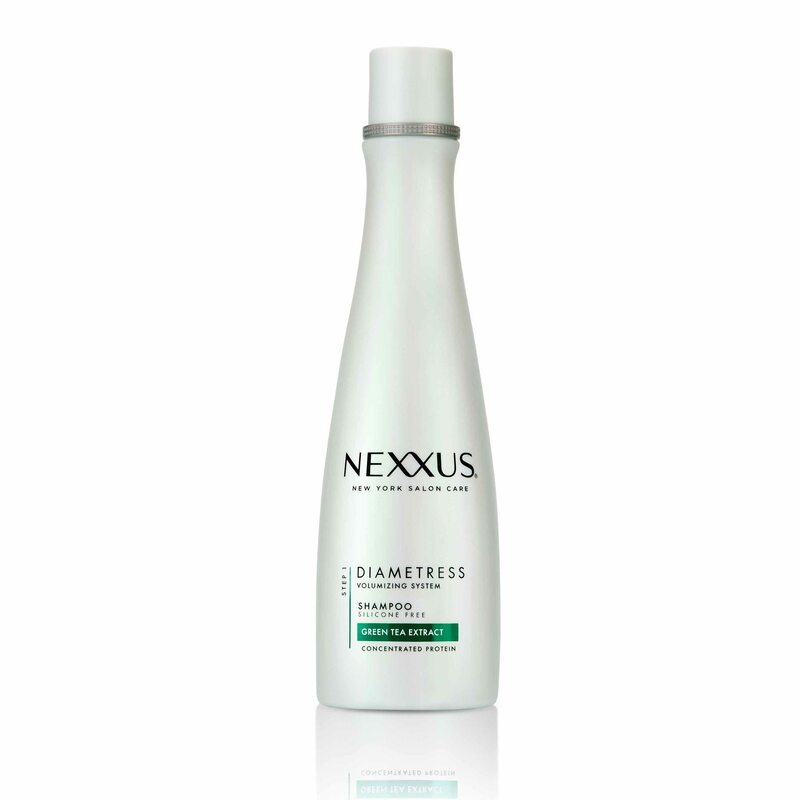 Enriched with elastin, keratin, and wheat protein, this system was certainly a treat my hair needed. Then, I had my hair blown-out and decided to mix things up, by getting curled ends. Lona talked me through some tips on how to use my curling wand to achieve this look at home. She suggested to leave the bottom part of the hair out to create a more natural and loose curl. 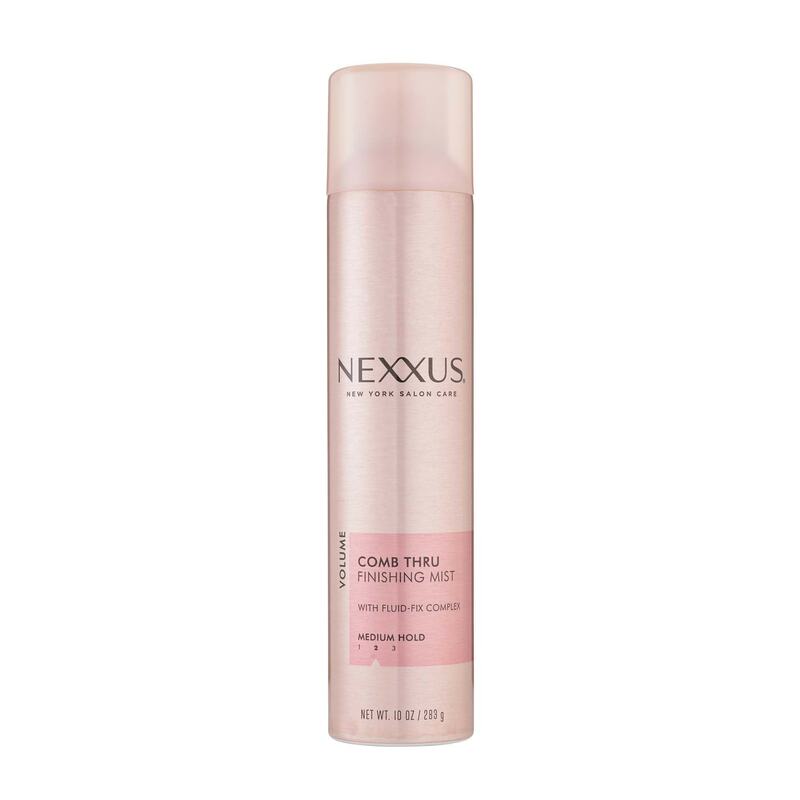 To seal up the look, she sprayed the Nexxus Comb Thru Finishing Mist throughout my hair. As someone that doesn’t use hairspray that often, I was amazed at how lightweight and airy the product was. It made my hair feel soft as it held onto my waves. And the best part of it was my hair wasn’t sticky! 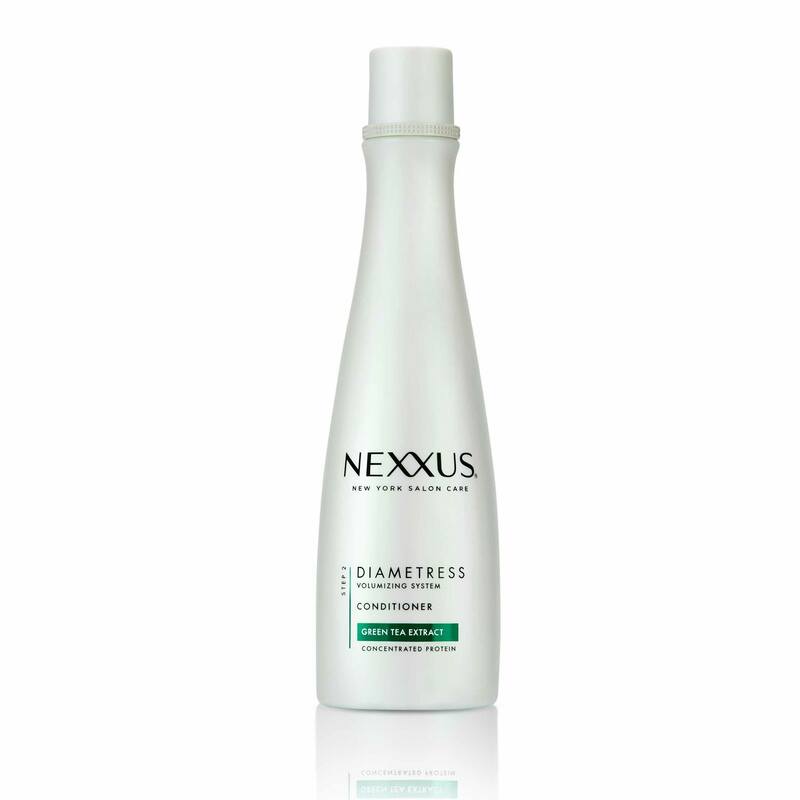 Visit the Nexxus Salon at 39 North Moore Street, New York, NY 10008.
check out these must-know damaged hair solutions!